The University of the South—called “Sewanee” by its students, faculty, staff and friends—is a purposefully small college dedicated to building and maintaining a sense of community. Sewanee’s 13,000-acre campus is located atop the Cumberland Plateau between Nashville and Chattanooga, Tennessee. Communication is key to preserving the close-knit culture of the university; 99 percent of students live on-campus, and the student-teacher ratio is 5:1. A Helpdesk that is staffed by students seven day a week was using small PCs running PowerPoint to share information about events, emergencies, and safety alerts. However, users found that it was difficult to make updates to the content across multiple locations, as well as from remote locations. The Helpdesk needs to be able to communicate quickly about emergencies (power outages, safety alerts, etc.) 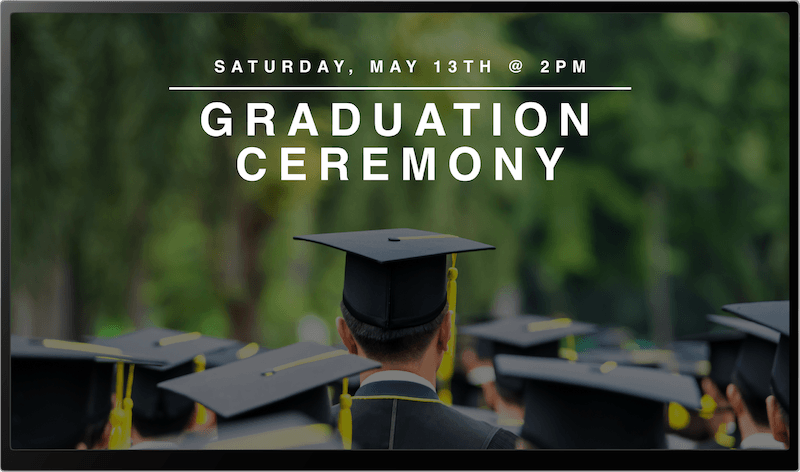 from any location, and continue to use the many of the same applications and file types for their content (PDFs, images, videos, web content, etc.). They needed a content management system (CMS) that was easy to use and cost effective. 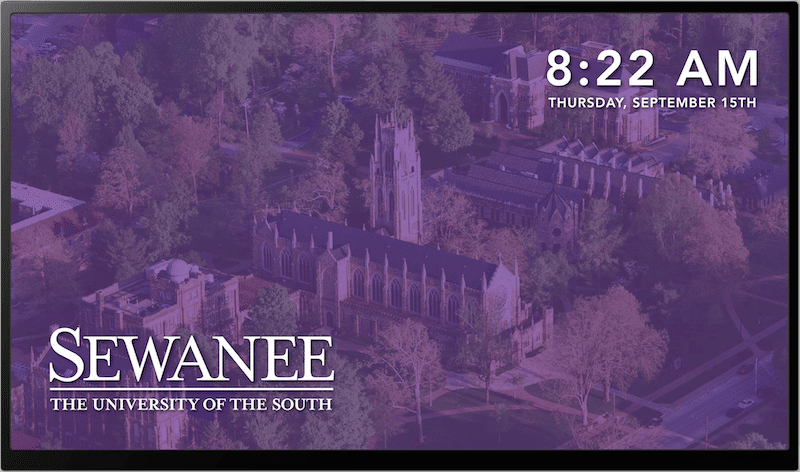 Sewanee had already implemented G Suite on campus, so when an online search for a digital signage CMS included the Chrome-based Skykit platform it made sense to investigate. A demo was scheduled. Since implementing Skykit for their digital signage, Sewanee now has a simple, intuitive tool to communicate consistent messages using digital displays—to staff, students and visitors, both on and off campus. Admins can post updates from any device, even cell phones, to share content and messages. Sewanee plans to implement Skykit in the Science and Math departments in the future.